There’s nothing more beautiful than enjoying the serenity of the wilderness in the forest or ocean. The sunset, trees, rivers, hills and the experience itself, are like no other feeling in the world. 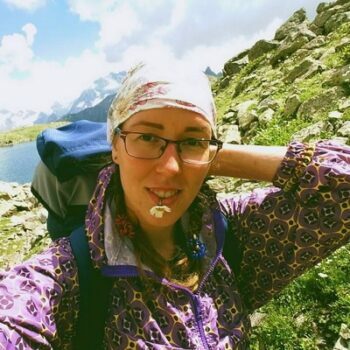 In other words, if you spend a lot of your time backpacking, hiking or even underwater excursions, getting a camera seems like an excellent idea. After all, don’t you want to capture footage pictures of mesmerizing scenery and memorable journeys in your adventure? Though there are many types of camera in the market these days, finding the right camera that is suitable for outdoor adventures can be a little tricky. In this case, action cameras are the most appropriate kind of camera for these types of activities. Not to mention, you’ll have to find the right outdoor action camera depending on the journey’s terrain and surroundings. On top of that, an activity like backpacking, hiking or underwater excursions requires a durable camera that is not only light in weight but also shockproof. Above all, finding the best action camera under your budget can be a little stressful. With so many factors to consider, how do you select the right action camera for your adventure trips? With this in mind, this article’s guide will showcase the top 8 best cheap action cameras that meet your needs. 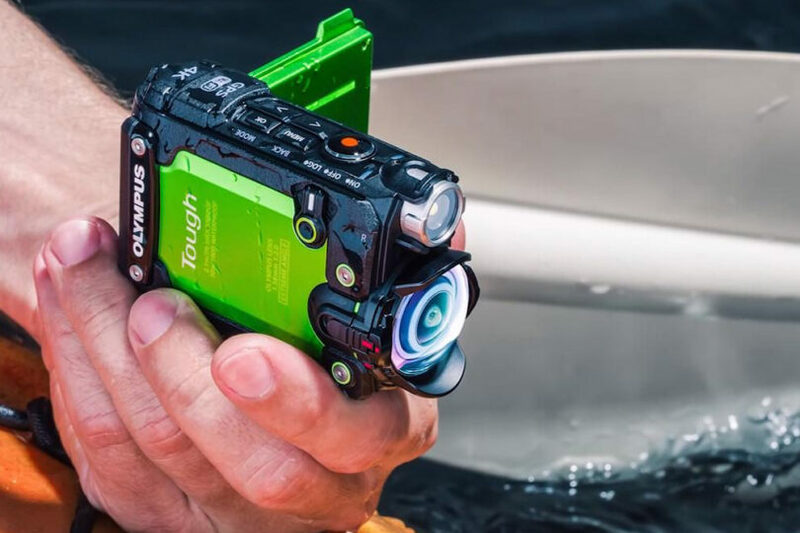 But before this article jumps straight into the top 8, it is imperative to consider some of the most important factors when choosing an action camera. These features are here to help you identify what you really want in an action camera. After all, you want the overall best quality experience for your trip. Here, we are going to show you the important features you should know before buying an action camera. Let’s face it; weight is one of the biggest factors to consider when it comes to choosing the right action camera. After all, if you’re going to be the one doing the activities and recording at the same time, it’s a little tricky to find the balance of the weight of the camera on you. At the same time, there is a range of reasons for the weights of these action cameras. To point out, heavier cameras have extra features or bigger protective casings. 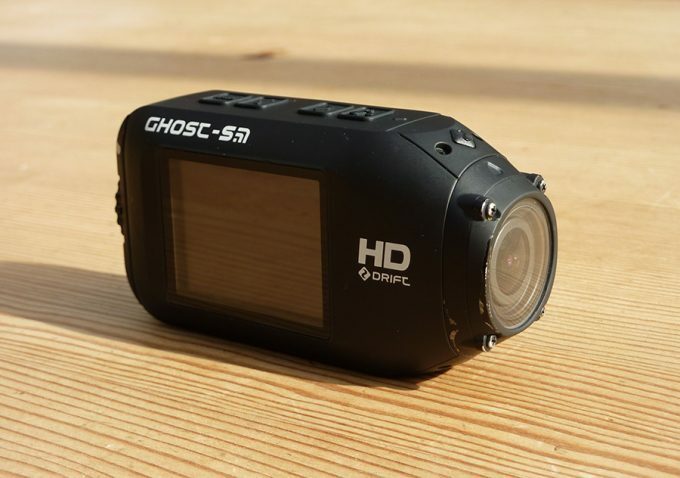 For instance, the DRIFT HD GHOST-S Digital Video Action Camera comes with Gorilla Screen and is 100% made from robust, durable materials. In this case, this has added a little increase in weight and bulk in size. Despite its weight, the DRIFT HD Action Camera is known for its excellent features that produce great images and recording videos. Not to mention, its battery has a longer life compare to the others. Depending on the model type and its design features, not all action camera devices have the same HD video Mode. If you’re looking to shoot in 1080P resolution, then all these action cameras listed in this article are capable of shooting at that capacity. All of the recommended devices mentioned here are capable of recording between 30 to 60 fps as well. In today’s market, photo resolution is as important as video recording. Nowadays, a lot of action cameras provide some of the best photo resolutions and thus, it is important to consider this factor when it comes to choosing the right action camera. After all, don’t you want to a picture that can be a beautiful single memory? For instance, The AMKOV 5000S, comes with motion detection and vibration sensor ensuring that the image sensors are of focus to ensure the perfection of optical visual. But not all of the devices listed here have the same technology as the AMKOV model. For example, the Garmin Virb and SJCAM SJ5000 come with the 16-megapixels sensor to ensure that it focused more on shooting video modes than stills. To summarize, if you’re looking for an action camera that focuses more on the video mode, then consider the other factor. If you’re looking for devices that focus more on high picture stills, then consider this factor into your decision-making process. To be honest, it’s not a surprise that most of the action cameras on the market these days comes with a MicroSD slot. All things considered, MicroSD cards are known for its versatile features. Thereby, all of the action camera devices listed in this article, come with a MicroSD support. If you’re going to use an action camera to record your extreme adventures, there are chances that you will encounter water. Not to mention, why invest in an action camera if it’s not going to be water resistant? After all, if you enjoy hiking as much as diving, it’s better to invest in an action camera that offers waterproof protection. 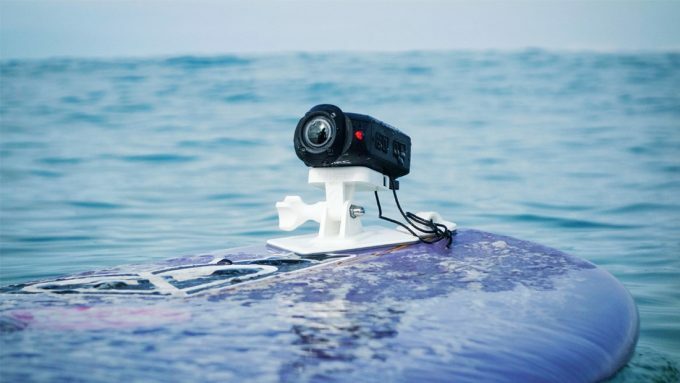 Thus, all of the devices mentioned here are waterproof except for one exceptional device, The Garmin Virb Action Camera as it can’t be used for watersport activities. 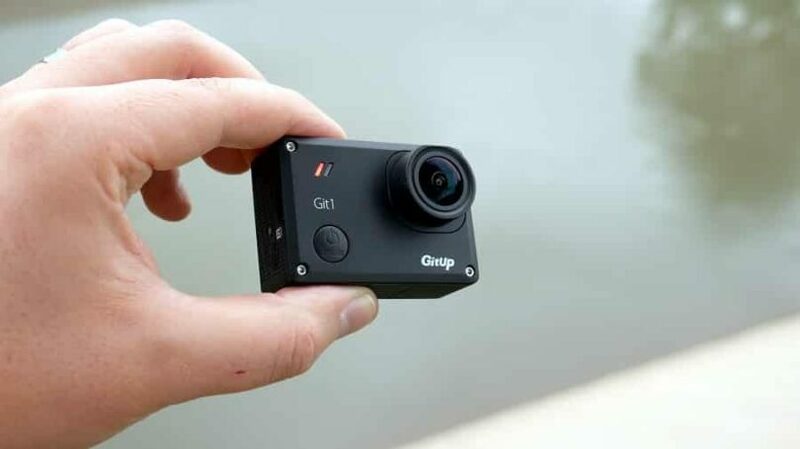 Despite its advantages, the Garmin Virb Action Camera comes with a waterproof protection, and there by, can be utilized for outdoor sports activities during rainy seasons. Now we are going to go over the top 8 action cameras on the market right now. We hope one of these is the right one for you! Best use: Extreme outdoor activities, surfing & rafting. Description: The Polaroid XS100i is one of the lowest priced action cameras in the market. This camera is the perfect alternative to Go-Pro Camera for those who are looking to buy within their budget. It can capture 10 photos in a second, and the video quality is excellent. Also, it comes built-in WIFI that allows you to sync with your phone. The concept itself is very easy to use. In fact, this camera is waterproof. The only downside to this product is that the WIFI works very well with IOS app, but it will not sync with Android App. Nonetheless, the Polaroid XS100i Wi-Fi Extreme Edition HD 1080p is known for its lightweight, compact, waterproof and easy to use features. Other design features of this Polaroid action camera include Aerodynamic Design, Shockproof Exterior, Dual File Recording, Adjustable Frame Rate 720p, Full Helmet & Handlebar Mounts included. Related: You will need a big memory card, so using one like the SanDisk Ultra 32GB UHS-I/Class 10 Micro SDHC Memory Card will allow you to have enough space. Best use: Extreme outdoor activities, surfing & rafting for summer. Description: The new Sony HDRAS50/B is known for its user-friendly system and easy to learn features. In other words, this product is the perfect replacement to GoPro Cameras. It shoots at 8-megapixels, and it has a 3x smooth zoom mode. Not to mention, it comes with a new Zeiss Lens that provides even sharper pictures. The apps are compatible with IOS and Android systems. Moreover, the construction is imperviously reliable, and the battery life is long. The only downside of this product is that with the waterproof case on, it can be heavy. However, if this feature doesn’t bother you, then overall, the Sony HDRAS50/B Full HD Action Cam is an excellent camera that is not only reasonably cheap in price but also works as well as any GoPro cameras. Users like this action cam because it is light weight and has a long battery life. You can find this in the base model or you can get it with Live View Remote. Related: The Wasabi Power Battery and Charger for Sony will ensure that you stay charged no matter where you are so you do not miss a moment! Under $20, this comes in a 2 pack. Specific features: Full HD 1080 video at 60fps, 12-megapixel photos, Drift DataLink WIFI enabled & Drift App, 2” LCD screen with Gorilla Glass & 300 Degree Rotatable Lens. Best use: Extreme outdoor activities, surfing, rafting & scuba diving for the summer. Description: The Drift HD Ghost-S is an excellent choice for an action camera for those who are looking for high image quality and long battery life. 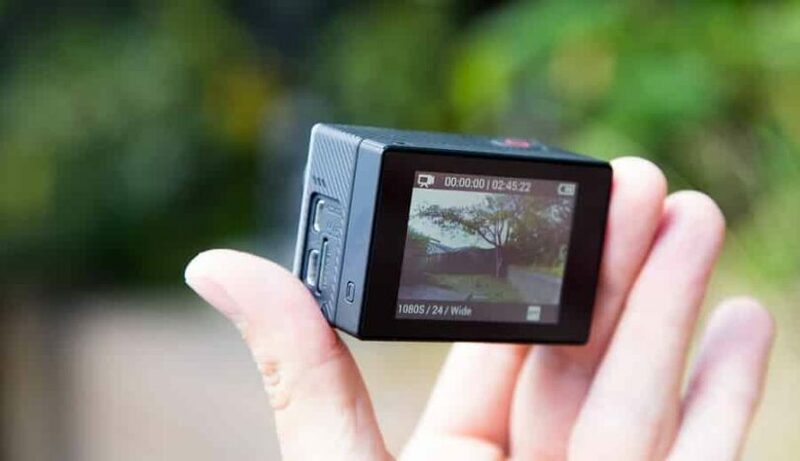 It shoots 1080p video at 60fps for fast scenes and 720p at 120fps for slow-motion video. The camera screen is made with Gorilla Glass to ensure that it survives after a few scrapes. In other words, this product’s material is 100% durably strong. The feature concepts are simple and easy to use. Also, the apps are available for Android and IOS. The only downside of this product is that the camera is bulky and large compared to the others. Overall, if you’re on a budget and looking for a great replacement to GoPro, then this DRIFT HD GHOST-S Digital Video Action Camera is an excellent choice for many great values. Overall, users like this because of the high image quality and the durability. They also like the slow motion video option, which can be fun. Related: The Wasabi Power Battery (2-Pack) and Charger for Drift GBAT and Drift HD Ghost/Ghost-S will make sure you are charged wherever you go. IT includes battery packs and a car charger. Specific features: 1.5-inch High Definition screen, Water-resistant housing up to 30 meters under water, support HDMI HD output, & WIFI Function. Best use: Extreme watersport activities for summer. Description: The Zabia Original SJCAM M10 is known for its multipurpose features that can be used underwater. It has excellent, easy to use features and user-friendly interface. The product comes with a case that is waterproof up to 30 meters underwater, perfect for water sport activities, for instance, scuba diving and surfing. The only downside of this product is that don’t expect excellent customer service from the SJCAM customer support team as it has shown some evidence from the reviews’ section. However, the Zabia Original SJCAM M10 WiFi 1080p Waterproof Mini Sports Action Camera is very affordable in price and provides excellent quality videos. Not to mention, it is light in weight. Overall, those who have purchased this camera have enjoyed it because of the updated image quality and high definition. The display allows you to view videos and it has a housing that is water resistant. You can also choose from many modes of shooting, which range from Time Lapse to Support Web Camera Function. Related: The SanDisk Ultra 32GB microSDHC UHS-I Card with Adapter will allow you to store your videos and photos and costs under $15. Description: If you’re a Garmin fanatic, then the Garmin Virb X is definitely for you. Compared to the other Garmin action camera products; the Garmin Virb X is known for its reasonable cheap price and high definition footage at 1080p per 30flps. It comes with Garmin G-METRIX built-in GPS, which allows you to track for your hunting and cycling purposes. Not only that, this camera is waterproof, which allows it to be used to 50 meters deep without a case. The only downside to this product is that the Garmin Virb Edit Software may be a little difficult for beginners and therefore, it is advisable to read the software instructions before using it. All things considered, the Garmin Virb X is known for its thoughtful easy to use features and innate button layout. There is no greater action camera on the market other than Garmin Virb X. Users like this because it is a great camera that comes with several parts that you do not have to buy separately. Related: The Garmin Battery Pack for Virb X & XE works with this Garmin version and has a 2 hour battery life. Description: The SJCAM SJ5000 is known for its excellent high-quality recordings due to its new image processor Panasonic 16 Megapixel CMOS Sensor. It is installed with Ambarella A7LS75 DSP that allows the quality of the video recorded at 1080 30-60 fps faster and better, which is a slight improvement from other predecessor models. 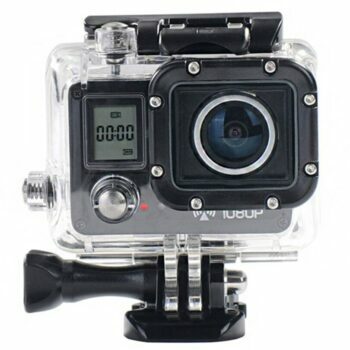 Not only that, it comes with a waterproof case that allows the camera to be in the water up to 30 meters. Above all, this camera can fit in any GoPro accessories. However, the only downside of this product is that beware of fake or replica models similar to it. Make sure to choose the right model with SJCAM Software. 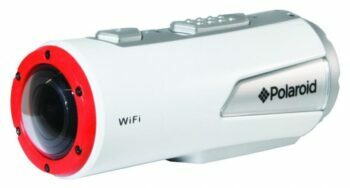 Overall, the SJCAM SJ5000 Plus Wifi Ambarella A7LS75 is reasonably cheap and provides some of the best quality pictures. Those who have this camera like it because it is small, connects to WiFi and is water resistant! Related: The EforTek 1000mAh Li-ion Battery (2-Pack) and Dual USB Charger Kit has 2 batteries and USB charger included all for under $15! Specific features: Waterproof 30m 170 wide, battery 1150mAh, Supports TF card up to 32GBUp to 64GB (SDHC), More than 2.5 hours, Up to FHD (1920*1080 30fps), HD (1280*720 60fps), HD (1280*720 30fps), Internal memory: 4M SPI, DDR3 1GB, WIFI function & shockproof carrying bag. Description: The AMKOV 5000S is another interesting option for a cheap action camera. Similar design and hardware concept to its predecessor AMK5000 but more advanced in software, this model stands out for its light in weight, long battery life and better picture resolution. Not only that, it comes with motion detection, G-Force sensor and vibration sensor. However, the only downside of this product is very similar to the Zabia Original SJCAM M10 WiFi 1080p Waterproof Mini Sports Action Camera. Their customer support service is not impressive when it comes to hardware issues. 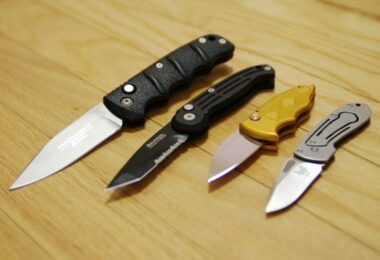 Nonetheless, this model is known for its reasonably low price and its small in size. 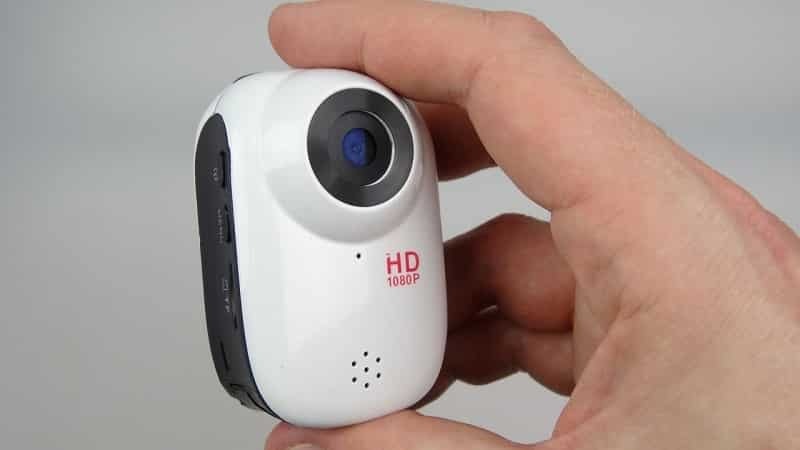 Users have enjoyed this camera because of the 20 mega pixel shooting, the long battery life and the fact that it is waterproof up to 30 meters. It does come with a shock proof carrying bag for protection, and it supports WIFI. Related: The Samsung EVO 32GB Class 10 Micro SDHC Card with Adapter (MB-MP32DA/AM) will hold up to 32 B of data all for under $20! Wide lens: Shooting modes (wide/medium/narrow) HDR (High Dynamic Range), ANR (Advanced Noise Reduction), LDC (Lens Distortion Correction, Internal microphone and optional USB to 3.5mm stereo MIC adapter & ANT+ connectivity for remote control function with other compatible Garmin products and data transfer. 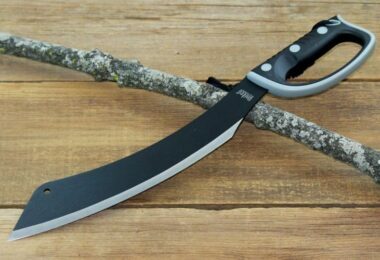 Best use: Suitable for all summer extreme outdoor activities. Description: The Garmin Virb action camera is a tough, rugged, durable action camera that provides excellent quality pictures and videos. The design and layout concept of this model makes the function controls easy to use. Not only that, it comes with the ANT Sensor capabilities that allow the camera to be used for any extreme outdoor action activities. Not to mention, the price is reasonably low in price. The only downside to this product is that the manufacturer has discontinued it. Not only that, this device is suitable for watersport activities. It is waterproof in the rain but not for diving and surfing. Nevertheless, Garmin continues to prove its promise, by delivering the best innovative products, such as the Virb Action Camera. While it is on the pricey side, users like the Ultra HD video and how great the images are when recorded. They also like the voice controls as well as the LCD color touch screen. Related: The Garmin VIRB Ultra Cage + Protective Lens is a great way to mount your camera. It is light weight and has a fast locking clamp. With this in mind, all the 8 devices mentioned in this article are a great alternative compared to GoPro. Not only they are reasonably cheap in price, but also they will not disappoint you in term of their excellent key features. After all, owning the right action camera can make a whole lot of difference in your excursion. Even if the devices mentioned in the article, don’t seem to attract you, at least consider the features when it comes to selecting the right action camera for you. So, what are you waiting for? Whether you’re scuba diving or skiing, it’s time to get the action camera and capture your adventures. Do you think we missed any of the cheap action cameras out there? If so, please let us know in the comment.